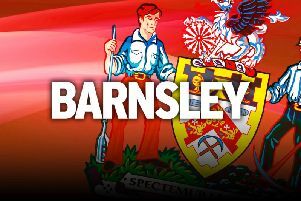 Barnsley boss Jose Morais insists his side deserved all three points after a painful injury-time equaliser. The Reds have now gone a, unwanted, record 12 home games without a win. Old boy Josh Brownhill came back to haunt his former club with a gut-wrenching 91st-minute leveller at Oakwell. The Reds led twice, through goals from Kieffer Moore and Brad Potts, before being forced to settle for a point in their survival bid. Famara Diedhiou bagged the first for the visitors with a cracking strike before Brownhill stole a point. “I believe the players deserved a victory for the quality of the performance,” admitted Morais. “The effort, the number of chances they created, they certainly deserved more than just a draw. “I feel we have the quality to stay up. When we believe together things will happen, I’m sure. “I feel like the players are starting to believe in themselves more and believe something remarkable will happen. Barnsley created numerous chances and had the bit between their teeth throughout. Moore rose highest to meet George Moncur’s free-kick and head home his third goal for the club. On the half hour mark Diedhiou unleashed a ripper from the edge of the box to level proceedings. The Reds kept carving out chances to reclaim the lead before the break. Moncur and Moore linked up once again with the former firing wide from the former Millers’ man Moore’s cut back. Oli McBurnie missed a glorious chance when he headed straight at Frank Fielding from four yards. After the break Moore was denied by a fantastic Fielding fingertip after bringing down Gary Gardner’s sublime pass. Moore was instrumental in the second with some brilliant hold up play, before Potts powered home. The Reds had seemingly wrapped things up before some shoddy defending saw Brownhill’s glancing header go in late on.